Lenore Zann will be the guest speaker at Women and Wellness this Saturday at the Murchison Centre. 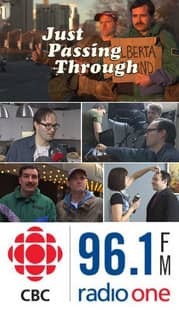 Over the years women like CBC broadcaster Shelagh Rogers, author and journalist Jan Wong and others have shared their experiences at this event. It's a fun fundraiser organized by the PEI Division of the Canadian Mental Health Association. Karen spoke with Canadian actress and politician, Lenore Zann about her career and why she's supporting this cause. 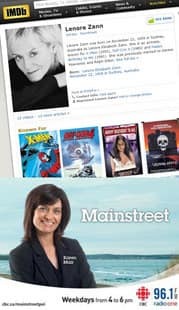 Jeremy Larter is the co-creator of the web series Just Passing Through and he dropped by the Mainstreet studio to share a scene from the show. Many Islanders caught onto this series when it first hit the internet. The series celebrates a side of Island life you don't always see on the screen. Now the creators of Just Passing Through are aiming to produce season 2. You can find links to their kickstarter campaign on Facebook and at justpassingthrough.ca. The Pogey Beach Party is Friday at The Factory starting at 4. Nova Scotia filmmaker Shandi Mitchell is terrified of the ocean. 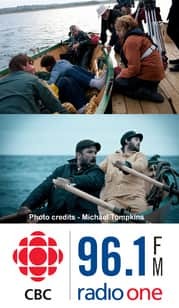 Yet for two weeks she went out every day on a barge on the open water to make her latest film "The Disappeared," follows six fishermen as they struggle to return to shore after their vessel is lost at sea. It will be screened at the 2013 Island Media Arts Festival.